Interest in Mongolia’s Woodland Spirits series skyrocketed after it debuted in Berlin at the 2018 World Money Fair. Joining 2018’s Fox, this year’s big-eared Rabbit looks to continue where the fox left off. This superb coin displays a beautiful, high-relief design of a Rabbit poking its head out from a patch of colorized wildflowers. The detail is incredibly intricate thanks to CIT’s smartminting® technology. 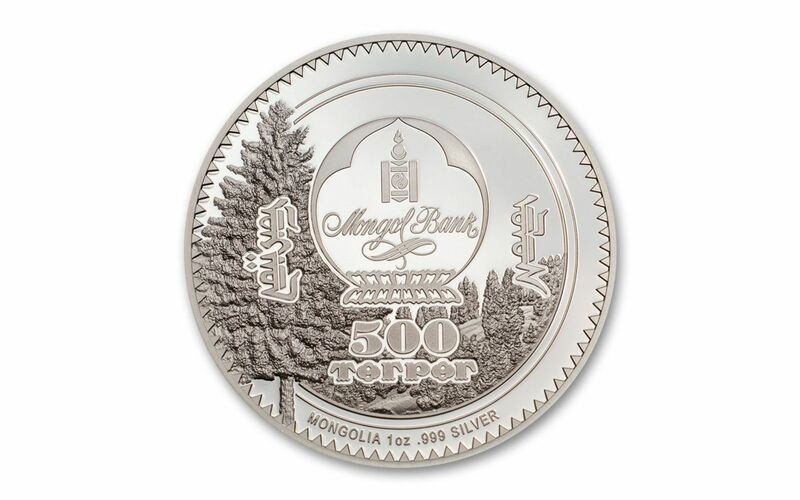 This coin is official Mongolian legal tender and comes struck in a full ounce of 99.9% fine silver to a Proof-Like finish. It will come displayed in its original government packaging just as it left the mint. 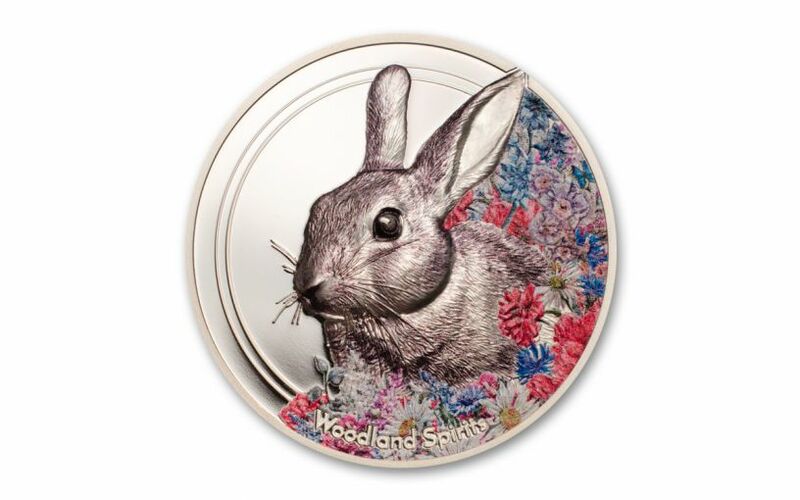 GLEAMING PROOFLIKE CONDITION – Even though your 2019 Mongolia One-Ounce Silver Woodland Spirits Rabbit Coin wasn't struck as a proof, this coin's brilliant and reflective finish has earned it a Gem Prooflike (PL) designation. LIMITED WORLDWIDE EDITION LIMIT – This stunning coin is from a limited mintage of just 1,500 for worldwide release! It will come displayed in its original government packaging. Don’t miss out on the latest entry in this colorful series – add one of these colorized silver Rabbits to your cart!